Description: Air cooler for oil refinery. Industrial, Oil refinery. Tower crane lifts a huge metal pipe. 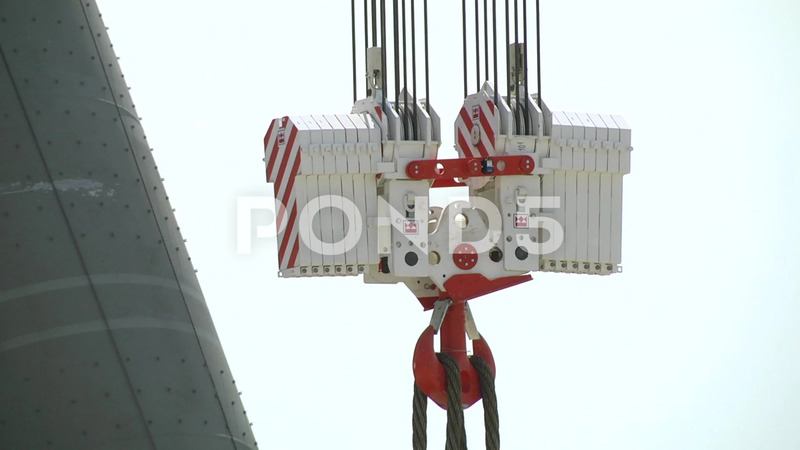 On the hook of the crane is hooked on the cable. Hook suspension. Self-latching load hook.